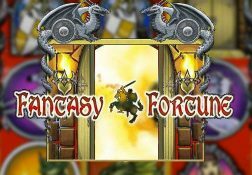 A full review of the Fantasy Fortune slot from Rival Gaming, and information on its payout percentage and bonus games and bonus features. Where can I play Fantasy Fortune for Real Money? A land that time forgot and one that holds great wealth is where you are going to end up hopefully when playing thee Fantasy Fortune slot and plundering that wealth is your aim! 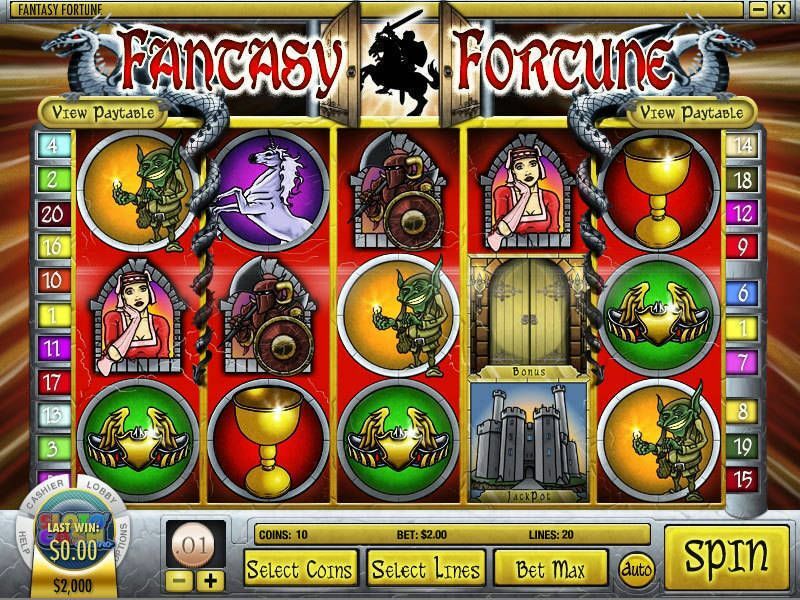 What can I tell you about the Fantasy Fortune slot from Rival Gaming, well to begin with it is one of their five video reel slots which are famed for awarding players with their bonus games much more frequently than most other online slot games award theirs! So first and foremost you will often find that when playing it you do end up playing off plenty of free spins but as the slot is a medium variance one that doesn’t mean those free spins are going to be low paying ones, if fact for added win potential they play off with x3 multipliers attached to them. 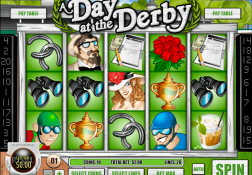 There are plenty of fully themed reel symbols on the reels of this slot and whilst the animations are not state of the art and the sound effects are not that advanced either, the above average RTP of this slot is always going to ensure you get your fair share of winning spins over your long term play! 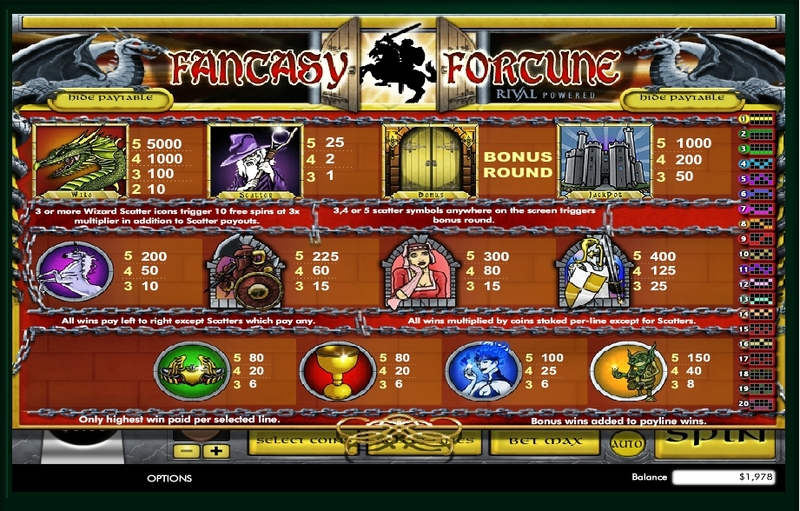 The Fantasy Fortune Slot has a payout percentage of 96.00%.